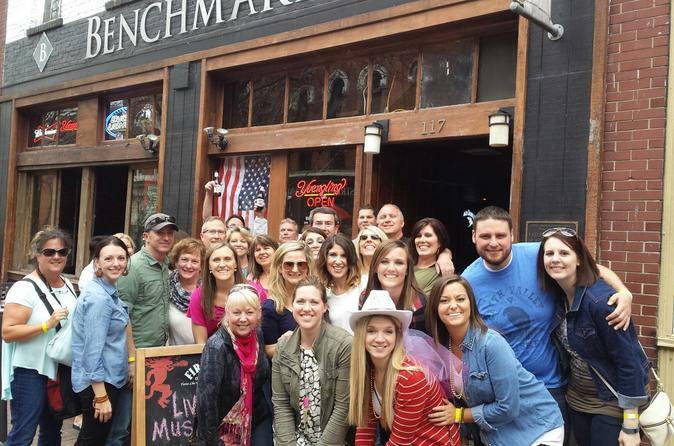 This exciting 2-hour, guided, Nashville Pub Crawl tour takes place right in the heart of the action throughout downtown Nashville. The one and only Music City. You will experience all the sites along historic Second Ave and experience why Nashville is such an amazing city. We will stop at 4-6 cool watering holes along the way and at each stop, you will get a lighthearted look at Music City's past. Plus our pub crawlers will dabble in some of our drink specials set aside just for our "crawlers". Our tour involves a small amount of walking through the city streets, so make sure you are comfortable. Even Nashville natives are amazed at the stories they hear. We are a popular Nashville activity for visitors and locals alike. Lets have some fun!